Look fantastic while you’re waiting for your precious baby to arrive! 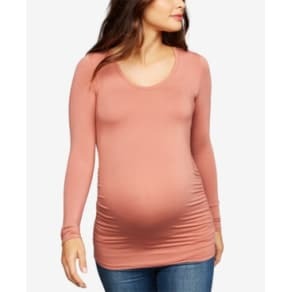 At the stores at Westfield, you’ll find all the latest maternity wear in all the most up-to-date fashions from babydoll blouses to soft maternity bottoms. You’ll be so excited about your new maternity wear, you won’t want to stay home at all during these nine months. Shop the latest collection of fun and feminine maternity wear that is fashionable, comfortable and versatile and grow as your body grows. Trendy cold shoulder or ruffled blouses, tunics, sweatshirt, and cardigans keep you feeling elegant and fashion forward. 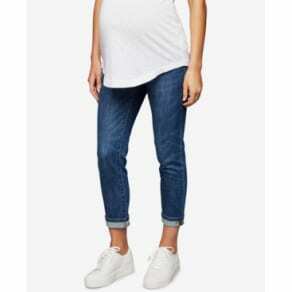 For maternity pants and skirts -- look for trendy styles tailored to fit and flatter you along the way. Discover long, short and knee length maternity skirts in under or over belly styles. 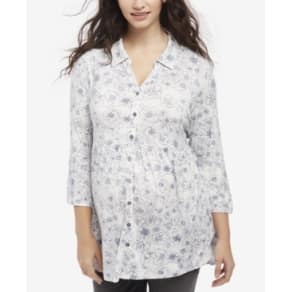 You don’t have to be left out in the cold with your maternity wear. Check out our latest maternity coats and jackets such like a 3-in-1 belted maternity puffer coat or a super soft twill maternity jacket. At Westfield, we have all maternity wear to keep you comfortable and stylish throughout your pregnancy. Check out all our maternity top, bottoms, skirts, bottoms and more!